The 55-hectare property of the Tenuta La Bandita extend on the hills of the Val di Cornia in the municipality of Sassetta. A few kilometres away from the estate there are several villages that are worth visiting: Castagneto Carducci, Bolgheri and others. The main centres of Tuscany such as Florence (135 km), Volterra (45 km), San Gimignano (60 km) and Siena (95 km) are also within easy reach. For those wishing to visit the coast, the sea is only at 12 kilometres with the beaches of Marina di Castagneto and San Vincenzo. The port of Livorno from where it is possible to embark to reach the island of Capraia is at 57 km. In a charming quiet place, surrounded by greenery, rises the Tenuta la Bandita, historic property with an area of 55 hectares, extraordinary place where rare wild orchids bloom and live deer, porcupines and wild boars. It's almost hidden among the olive trees, vineyards and typical Mediterranean vegetation, but not necessarily hard to reach. Arriving at the estate, you will find yourself in an enchanting place with a beautiful terrace overlooking the valley and the village of Sassetta. The main building, the manor house, dates back to 1700. 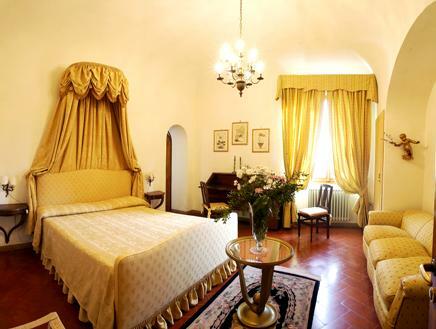 This is a two-storey villa consisting of 10 bedrooms and large rooms with cross vaults decorated with antique furniture and objects that create a very suggestive atmosphere. 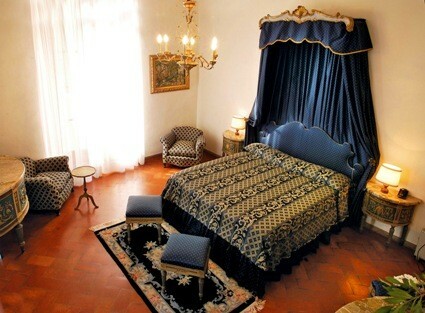 Beside the villa there are two annexes which house the rest of the bedrooms: La Foresteria and Gli Ulivi. The rooms of the Tenuta La Bandita are spread over the three buildings of the property: the main villa, La Foresteria and Gli Ulivi. 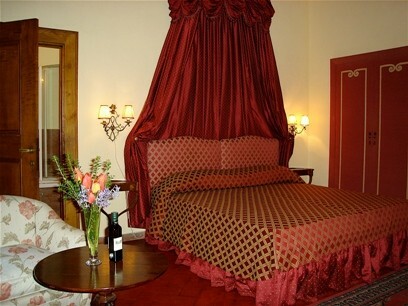 The villa has 10 rooms and the two annexes have each 14 rooms with high ceilings and wide spaces. Most of these rooms, furnished with precious fabrics and strong colours, has a small private garden for a closer contact with nature. 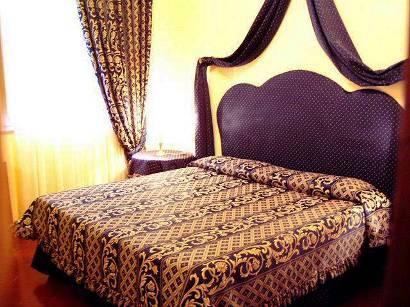 All rooms are equipped with TV, telephone, mini bar, wireless Internet, safe and hair dryer. If you decide to dine at the restaurant on the estate, which we strongly suggest, you can taste delicious dishes made from traditional recipes of the Maremma cuisine. These are lovingly prepared mostly with biological products grown in the farm that include home-made pastas and game dishes, for example wild boar or the cinta senese. Of course, even the vegetables and the olive oil are grown and produced on the property to create dishes of excellent quality and unique taste. If then these dishes are served during a dinner by candlelight in a beautiful garden and with views of the valley and the country, your holiday can already be called a success. You will probably already be happy in the morning with the breakfast buffet made of fresh home-made products with a wide selection of cakes and jams of all kinds in addition to everything else that will make you start your day in the best possible way. The guests of the property La Bandita have at their disposal a beautiful swimming pool, a tennis court, small rooms for meetings and workshops and a consecrated chapel for small ceremonies. For those wishing to learn the secrets of the great chefs, on request it is possible to organize cooking lessons and wine tasting in the most important wineries of the area that produce the famous and excellent wine Sassicaia, Ornellaia, Grattamacco and Paleo. Apart from these visits, the hotel La Bandita proposes some interesting guided visits aimed at discovering the old houses near the hotel where first-rate cheeses and oil are produced. Tourist tax: The municipality requires the payment of a tourist tax of € 0,50 per person/day and it has to be paid directly on spot. The tax is valid from June 15th to September 15th.